The GMC Acadia is equipped with everything you’d look for in a mid-size SUV and then some. Versatility and comfort were the two key elements to the Acadia's interior design. With up to 8 available seats to fill the Acadia is sure to provide ample space for all. Cargo space is a category where the Acadia excels, with a class-leading max cargo space, there’s plenty of available storage areas. 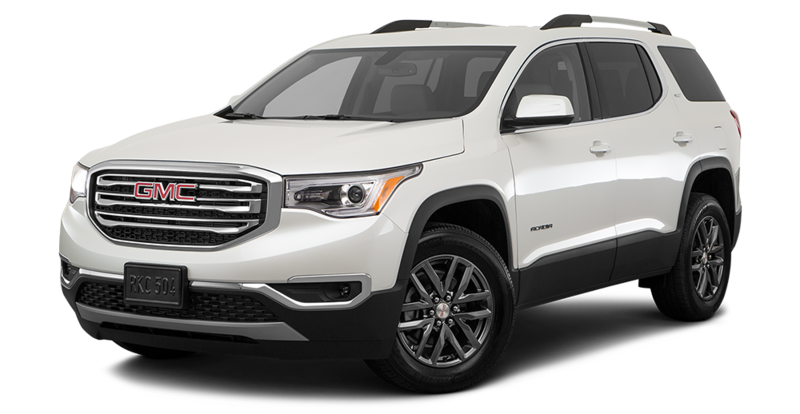 The Acadia is a vehicle that is sure to stand out of the crowd, with a distinctive body style and bold accents there’s just simply no overlooking this mid-size SUV. No matter the destination, the Acadia’s expert performance, and handling attributes are sure to handle even the toughest of roads with finesse. With any SUV it’s expected that you might have a bit of cargo to carry, the Acadia’s 2.6L V6 engine produces 281 hp ensuring that both you and your cargo can outlast the long haul. With all the available upgrades and accessories available, the GMC Acadia provides endless opportunities for personalization. The staff at Quirk Auto Dealers is dedicated and passionate. We have years of experience helping our customers have the best experience possible. No one knows the vehicles on our lot better than our incredible sales staff. Come into Quirk GMC located in Manchester, NH and schedule a test drive today!